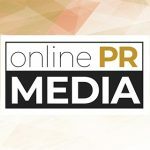 Online PR News – 09-March-2011 – – Acclaimed family photographer Sandy Puc' and wedding photographer Jerry Ghionis will be in Phoenix on March 13, at the Crowne Plaza Phoenix to share their forte in marketing and wedding photography with the Power of Passion Tour. The tour kicked off in Denver on February 12 and will be stopping in 32 cities across the United States. The seminar exhibits the newest tips and expertise of wedding photography and how to market your business. Puc' and Ghionis will share their passion and expertise for their craft with seminar attendees. A trade show featuring the finest products in the industry will precede the seminar. The show has inspired photographers and studio owners in cities in Las Vegas, Oklahoma City, Dallas, and Houston. This is the first time Puc' and Ghionis have teamed up for a national tour and thus far the pair is unmatched in combining masterful techniques to wedding photography and fundamental marketing tactics. Please mention discount code PRE11, for a $20 reduction off the ticket price. For more information on the tour, tour dates or how to register please visit http://www.powerofpassion.sandypuctours.com.